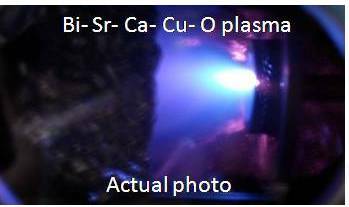 We study the effects of Y-doping on the flux pinning of IR PLD grown Bi-2212 films. We determined magnetoresistance MR and Jc to evaluate flux pinning. Minimum MR and highest Jc at 25% Y-doping. Improved flux pinning is related to the shrinking of Cu–O planes distance. Optimum carrier concentration also results to effective flux pinning. 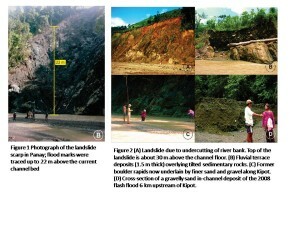 Landslide-amplified flash floods—The June 2008 Panay Island flooding. Philippines. Geomorphology, 169-170:55–63, 1 October 2012. The research work identified and characterized a local flooding event along Aklan River associated with typhoon Frank (June 2008). The high magnitude of the flood and the delayed arrival of the maximum flood height in the concerned localities cannot be accounted for solely by the rainfall event. A massive landslide upstream of the communities, and along a narrow section of the river was determined to have temporarily blocked Aklan River. This resulted to the formation of a reservoir which was eventually breached a few hours later. 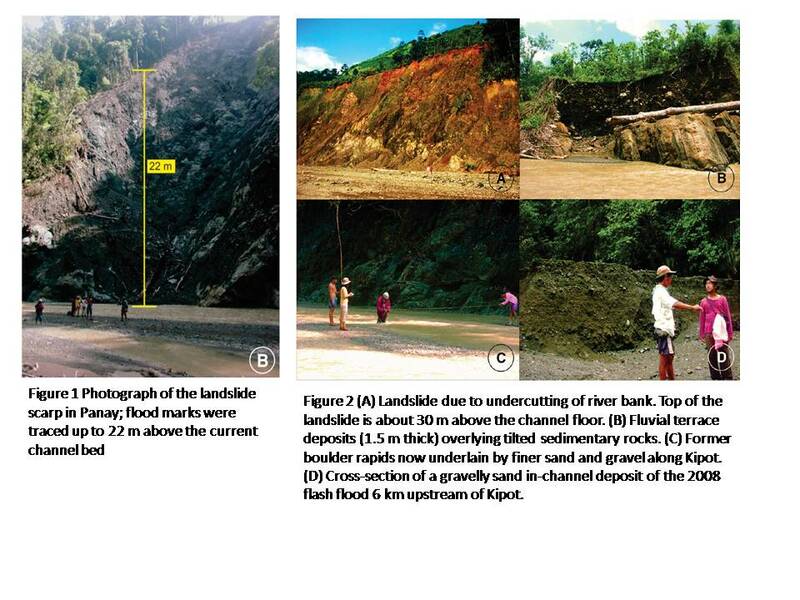 The formation and eventual breaching of the reservoir accounted for the higher magnitude and delayed arrival of the flood.The presence of potential dam-forming landslides in an area alter the nature of flooding hazards, especially in communities immediately downstream of the landslides. Identification and characterization of these critical sites are needed in order to fully characterize the flooding hazards, and to design and implement appropriate risk mitigation measures. Susan May F. Calumpang, Gil L. Magsino, Melvin Ebuenga, Rolando G. Bayot, Daniel G. Vargas and Ernesto B. Cayaban Jr. Incidence of Arthropod Pests and Natural Enemies in Rice-Tagbak (Alpinia Elegans (Presl.) Schum.) and Vegetable Cropping Systems Without Insecticide Application. Silliman Journal, 53 (1): 19-51, January to June 2012. Indigenous cultural practices in pest management provide a valuable resource for sustainable agriculture. Farmer observations provide the clues for balanced and sustainable agricultural ecosystems. Rice farmers of Infanta, Quezon use tagbak (Kolowratia elegans Presl.) stalks for insect pest management. In cauliflower and squash, intercropping with aromatic plants proved to be an insecticide-less solution for managing some pests. These claims were scientifically substantiated in field trials conducted in the University of the Philippines Los Baños. The use of one-meter tagbak stalks positioned throughout the rice field at 3m by 3m distance during the dry season reduced green leafhopper and brown plant hopper populations by 27% and 40%, respectively. More importantly, the natural enemy populations remained abundant. Yield of the rice crop also increased. These results validate the farmer practice and can be a complementary pest strategy for IPM in low input rice production. Insect pests and natural enemies in cauliflower intercropped with dill and celery, without any insecticide application, were a natural mix of flea beetles, leafhoppers and mealy bugs as pests and beneficials such as ants, dragon flies, spiders and coccinellid beetles. The natural arthropod blend resulted in low diamond back moth population counts but failed to curb cutworm populations. For organically grown squash, there was greater diversity of beneficials as leafhopper populations were controlled by spiders and aphid infestation decline coincided with the initial appearance of ants. However, whitefly population was not kept in check.